Nice tutorial can you please help me? how to use sql database to send push? I thinks it's gonna be more helpful for us than some peace of code. the project can be built . Sure i will upload soon..
Hi, I'm new to java and android but I think there could be a problem with your example. If the device has not registered before, GetRegistrationId will return an empty string and so you then call register. That returns the new registrationId in the GCMIntentService as a local variable. So when you call sendIdOnOverServer the registrationId might not have been received but even if it has been received, it will not be the registrationId that is sent to the server in MainActivity. That one will still be blank. No no this demo always send registration id before get a push.. The first ever time you call getRegistrationId it will return an empty string. You then call register to get a regId from GCM but that call returns immediately and the regId is returned seconds later in the intent service. You call sendIdOnOverServer immediately after the call to register and hence regId will be empty at that time so an empty string will be sent to your server. The next time the progam runs, it will work fine because getRegistrationId will return the last registration and so regId will not now be empty and so a valid regId will be sent to your server. If I am wrong about this I'd appreciate to know how it works. I can understand that your app may work long term but I think first time, it will effectively fail. No John its work all time fine because this app send registration id on server every time.. I have tested it..
Sure I will Upload on GIT server, keep in touch..
Hello Manish thanks for your tutorial. 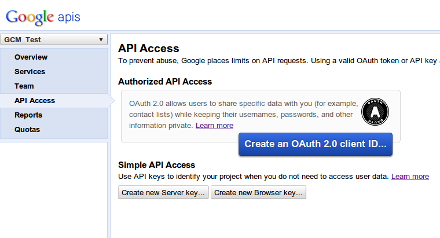 but i think there is a problem..
GCM requires Android SDK version 2.2 (API level 8) or above. Yes may be if google not allow us we can't send push message.. Yes sender id= project id..
Where you are facing trouble please let me know.. I am using eclipse, and code is working for me.I have put all code of=n Git Server please download from there. And a download link on my post also. The code is completely mangled up, probably a fault of the syntax highlighter, but it ruins the entire tut. Hi Manish, Is there anyway to contact you via chat? It is a nice tutorial but I see your GCM.php starts with some weird syntax. Can you clarify the GCM.php file. it gives error of variable registatoion_ids and msg not defined. It should work any problem in code? How we get registration id? Have you short out problem? 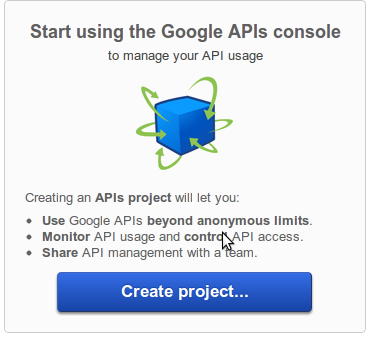 Have you created new project on Google developer? Its seems any php tag like "pre" or something else missing. 09-17 12:22:40.527: I/global(342): Default buffer size used in BufferedReader constructor. It would be better to be explicit if an 8k-char buffer is required. but i had not create any talbe nothing so where it store? second thing how can i send any message on device using this? Let me clear all of your doubts. 1)Its not must your device return always registration id. Please try 1-3 time if you did not got registration id in your application. 2)Here we are not storing any thing in database just we are getting registration-id from device and we hit the google server and google send push message on mobile device. 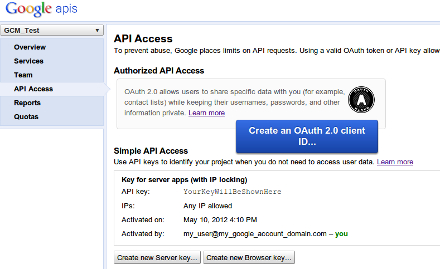 3)Please check your project on google developer console and put sender-id same as your project-id, both are same. 4)In your php code change 'Authorization: key=AIzaSyA46UE7bBWXCpHSD5sbNxbRwI1MAKVI-jg', with your project key generated by you. Note: I think you are using same package name whats in my demo app so be sure your application package name should be same on Google console. 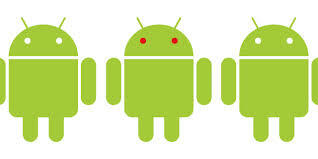 I think you should change package name in your android code and create new project on Google console. Here I am explaining php code line by line hope it will help you. Hi this is Maheswaran, I get only the empty Reg Id while I am running your demo app. I want to send notification to my application users when created a new Events, Can u please help me to integrate your code in my app? Have you check all necessary thing like manifest permissions? and You are using mobile device instead of emulator ? 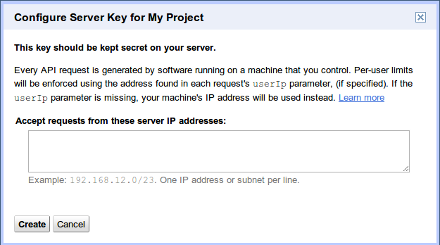 and have you created your own project on Google Developer and change project-key with yours? Yes, I have checked everything what you are asking me, Is it possible to send notification to multiple users? I am using Emulator only not a mobile. Can you please come to chat? mmaheswaran87@gmail.com this my mail ID. Please use mobile device instead of emulator, because we can't guaranty its give you reg-id. And yes I have messaged you check your gtalk. I just download the whole source code to see how it works. I've use my sender ID and uploaded the GCM.php file on my server. But when i run the app it just give me a screen tell " RegId = "
Any Idea why so ? Are you using mobile phone? And please see log cat. may be there correct reg-id. And please try 1-2 time may be in first time we did not reg-id. Can we send notification to IPHONE from android? This is, if my application installed in IPhone means, the notification will send or not? No dear you can't send notification to IPHONE from android device. You should use APNS(apple push notification services) for that. Is it any possible to send notification to IPhone device through this code? I can send notification to Android Mobiles. See dear both are competitor and they will not allow for messaging between each other. write web-service in php and use GCM for android and APNS for iphone and send push message from php server. I think this is the best way..
when im trying to import this app zip its telling no projects are found to import. could you please solve this problem? Don't import, create new project from exiting code. Hello Manish the demo works fine on my device but all I see is the regID. How can i get to see the messege "Hi Minash"
I am following this tutorial, I am able to get reg Id for android emulator in which I have configure google account, so my android app side is ok, but to register application server i.e tomcat to c2dm i am using java REST web service in place of your php web service calling. Here from web service i am getting 401 response code and not getting push message from c2dm. // Hit the dm URL. I have searched for 401 error code it's about authentication but not able to get exact solution to fix this issue, could please give your suggestion!!!!! Sorry Dear i have no more idea about web-services so I can't say anything. well error 401 means "Authorization Required error" That mean your server or Google server some where authentication is required. I have download this code from this link https://github.com/manishsri01/GCMPushDemo . But when I import this project in eclipse . It will not import and error is that "No projects are found to import". give me solution ? Please go through file menu and and create new project using exciting code. Nice tutorial and I have copied your source code in my apps and it works. However, i have little problem. could you please help me? thanks!! what i add in Accept requests from these server IP addresses:??? i can not get RegId now . In my case, 9 out of 10 times sendIdOnOverServer has been executed before GCMRegistrar returns an ID. Logcat shows one second difference between sending ID and GCMBaseIntent.handleregistration. How to avoid empty RegId strings? Hi , I am new to android and require some urgent help. Is there any way to subtract two dates from picker. Ex: I will select a date from picker1 and date from picker2. Now, I what I am trying to do is picker2 - picker1 to get the number of days between these two dates. Now you can change this long to minute hour according to your need. i am getting error on this import saying import cannot be resolved ,please help manish sir. import com.google.android.gcm.GCMRegistrar; GCMRegister class file not found..please you have any solutions..
"Android Cloud to Device Messaging (C2DM) is deprecated. The C2DM service will be shut down completely on 10/20/2015. Currently, C2DM accepts no new users, and grants no new quotas. C2DM developers are strongly encouraged to move to Google Cloud Messaging (GCM). GCM is the next generation of C2DM." have you any update for it? Now Android is using "Google play services" for push messaging and they have full demo on android official website. please download from there. how to send push notification everyday at particular time...? Are you able to send a message on send button? If yes then just set a crone job. Search it on google -"How to create cron job using PHP?" we are using button right now .. but i want to send automatically every 24hrs.. Using cron job you don't need button, it is same like Alarm Manager. how can i create cron job ...? I don't think GCM support device to device messaging. You can use Bluetooth or WiFi for communication between 2 phone. Or you can use some logic like send message to server than server again redirect to 2nd device, it is same like how chat application does work.